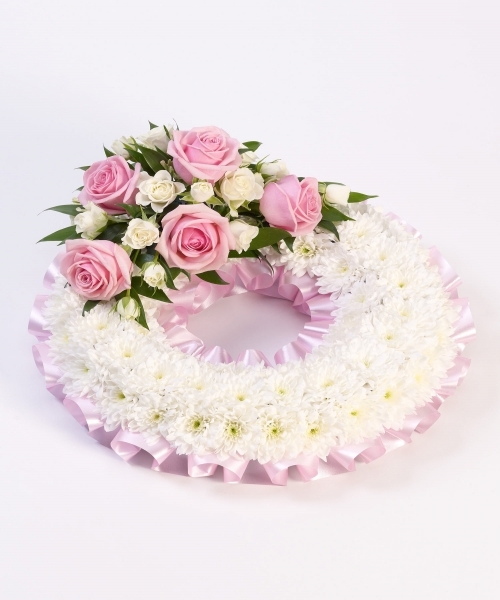 Based wreath - Pink & White. We can change colour of ribbons and roses. Please call in shop for changes.